Up for grabs what I'd like to call as "my favorite watch", without a doubt. I have two of these incredible and very rare jewels, but because of a sudden - and expensive - income I need some new funds. So unfortunately I have to put this rare gem for sale, hoping to find a great new home for it. 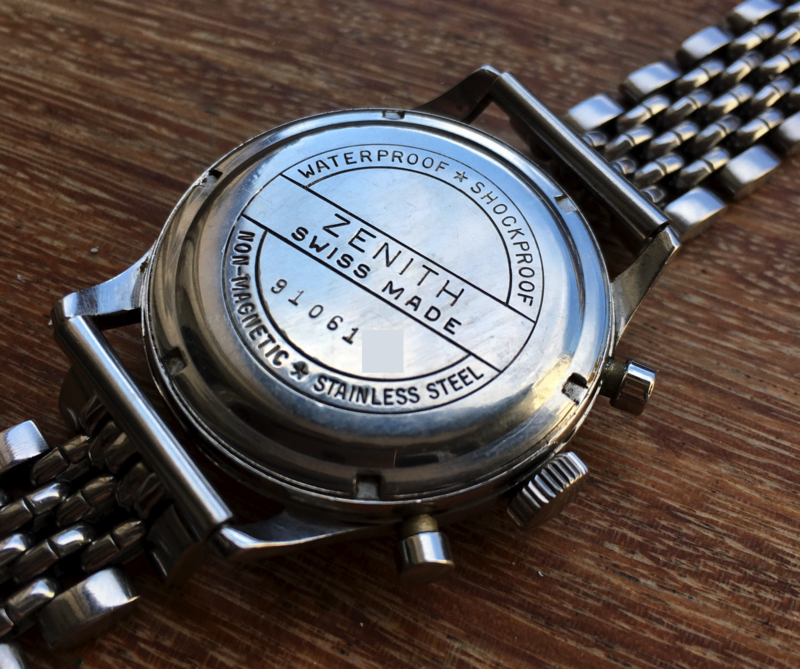 History: during 1954 Zenith ordered to Excelsior Park (at that time Zenith did not produce their movements in-house) a lot of 2000 pieces - waterproof cases, black dials - that were subsequently shipped to Tito's Jugoslavia, in Belgrade. 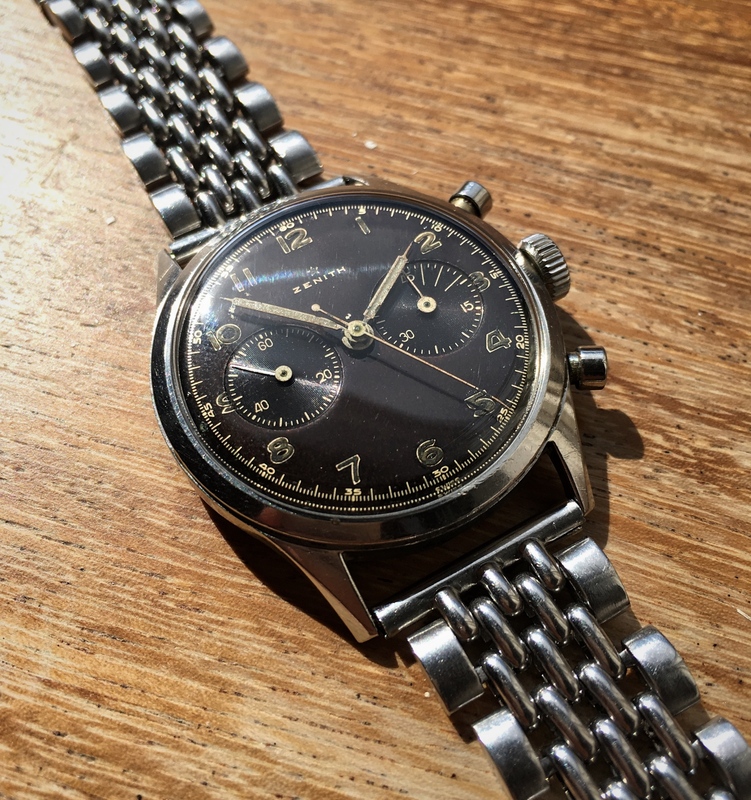 These watches were never officially "issued" (as you can see there's no military engraving in this ref) but you can see that serial numbers always fall in the same range. People from Balkans will recognize them as watches used by military army. You can read "the whole story" on OF. 1) they are military watches from 75 years ago! They were used, and after that they passed through earthquakes and civil wars. 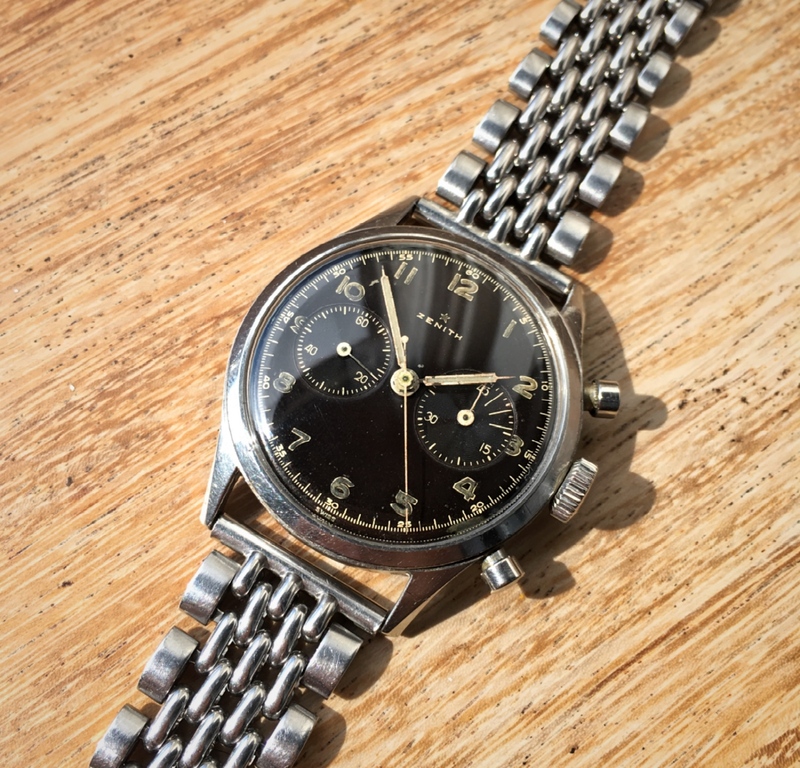 2) As you may know, these watches (same as Gallet, or Excelsior Park, or Girard Perregaux) are used to a paint deterioration. 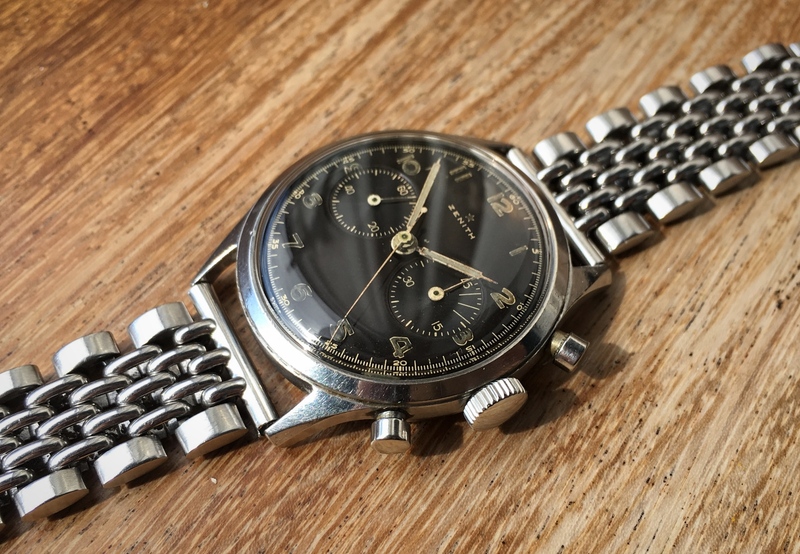 They used to become tropical (and that's more than cool) or to have bad strong patinas on the dial. They rarely stay black, or "blackish". So they are becoming pretty rare. So, my specific item is without a doubt one of the finest examples I could find in these years of research. As you can see from pictures, with ages dial turned to a wonderful black chocolate tone, with an incredible gilt glossy feature! It's probably one of the few out there to have all this features in one single piece. 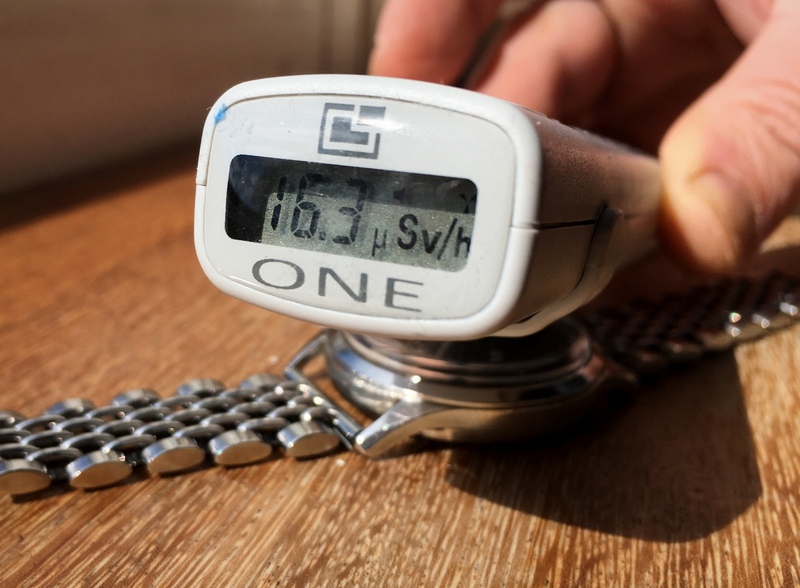 Moreover, on the dial - never touched - there are still present radium indexes that - as you can see from the pic - will make your counters scream very loud! 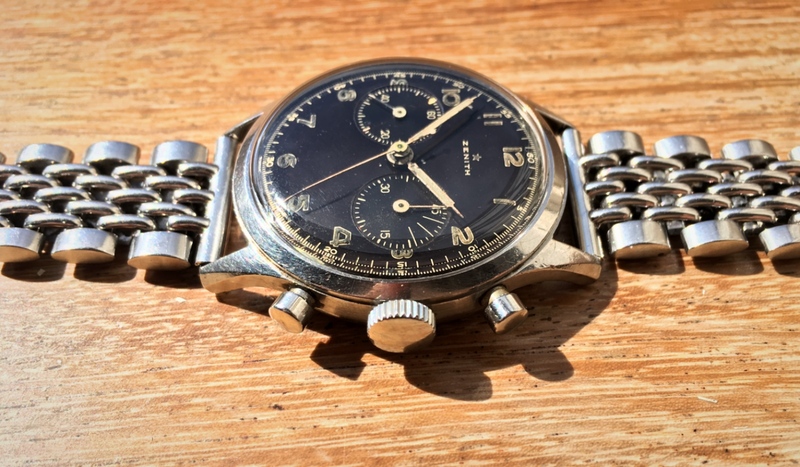 Stainless steel waterproof case appears to be unpolished (diameter: 37,2 mm) and in great great shape, crown is the original one (very hard to find) and on the back you can clearly see the serial number perfectly matching the expected range. 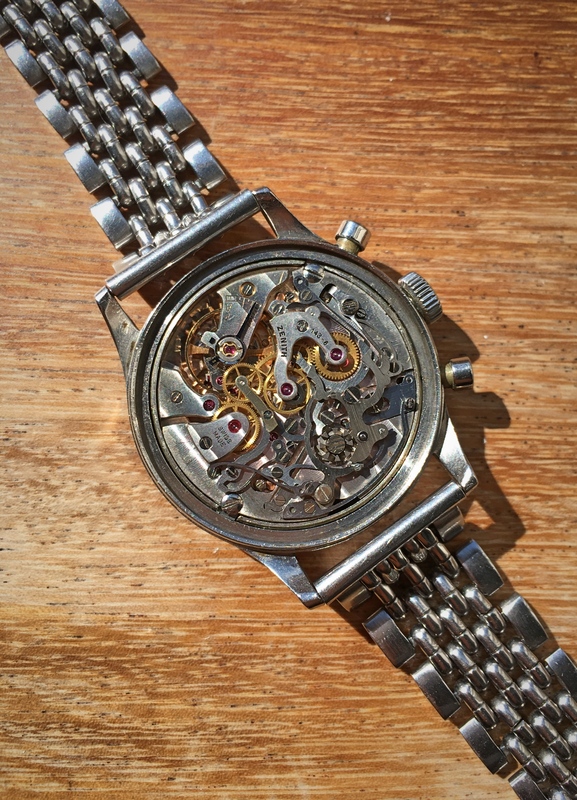 Overall, this watch is in wonderful vintage conditions. Hands were relumed at some point in the past (it's typical from military watches of this age) and there are a couple of micro signs on this otherwise perfect dial. 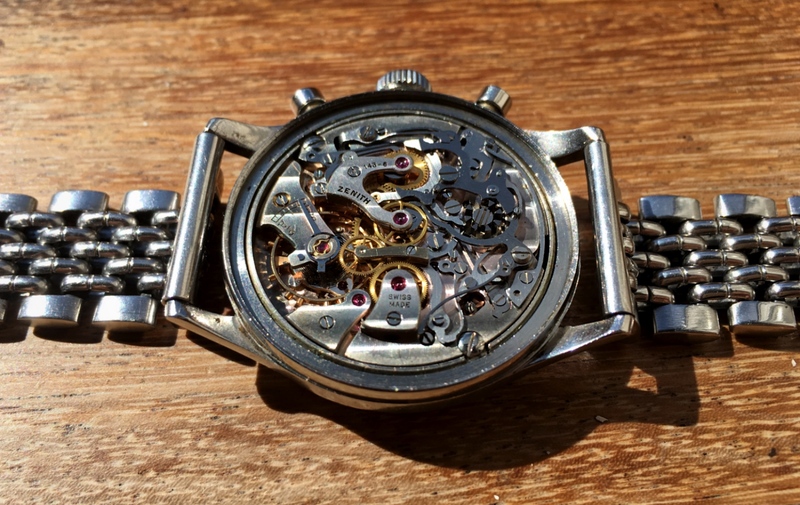 As you can see this watch has everything: a great history behind, rarity, charme, actual size and style and most of all: it's incredibly beautiful! This is the reason why I can say, without a doubt, this is the ref I'd take with me if I'd have to choose only one watch. For this amazing piece of history my request is 4700€ with free shipment within EU. Watch is sold head-only (bracelet is sized for my micro-wrist and it would be useless for 99% of you normal-wristed guys :D ). Me and watches are located in Italy! Lots of references to provide if needed.